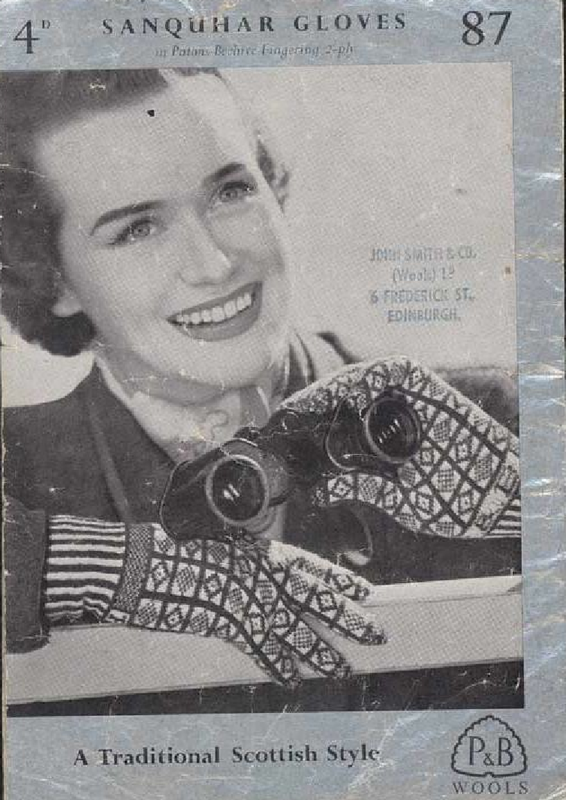 Over the past couple of days, quite a few of you have contacted me to ask about the black and white mitts that appeared in the header image at the top of this page. 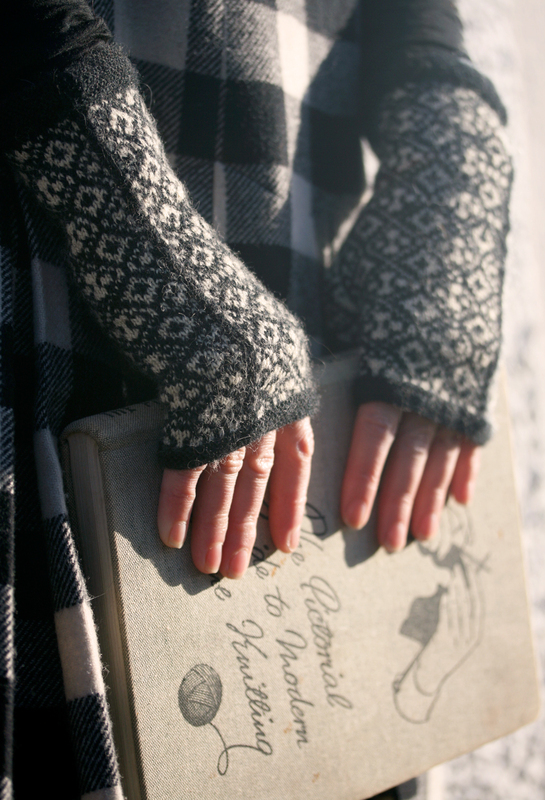 Well, this is my new design — the Ecclefechan Mitts! 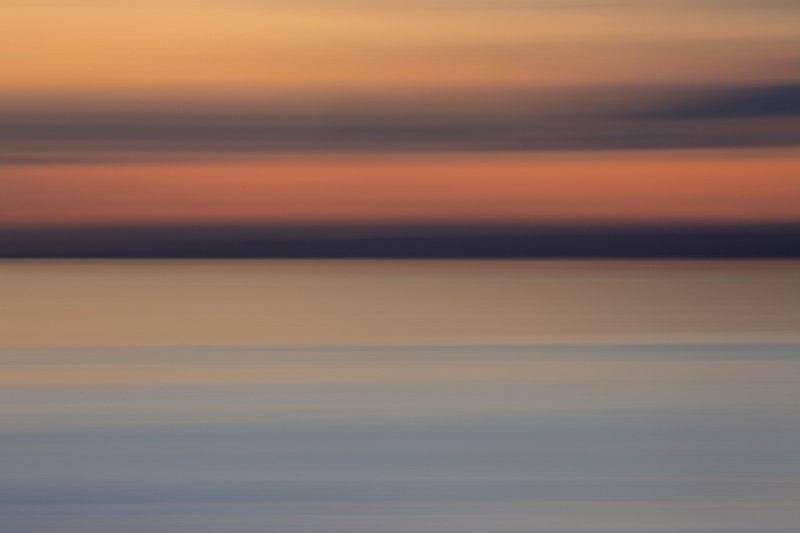 I was so happy with the photograph that I just couldn’t stop myself from popping it up there. I have to say that I’m extremely happy with the pattern, too. This design has been several months in the making. I decided back in September that I wanted to work on a black and white mitt design, and since then there has been quite a bit of charting and swatching and knitting. 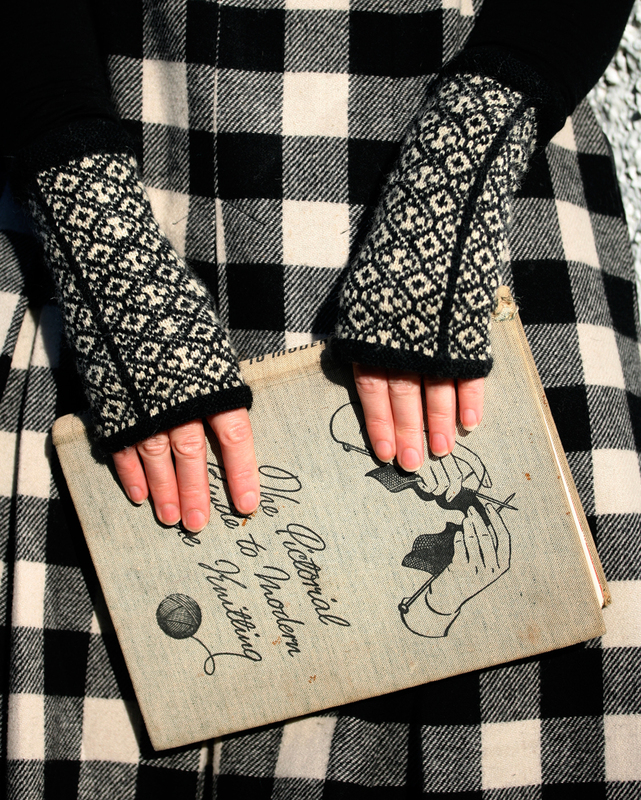 The inspiration behind these mitts is, of course, the graphic, striking, and to my mind rather elegant two-colour gloves that were traditionally knitted in Dentdale and the Scottish Borders. Like traditional Sanquhar gloves, my mitts are knitted at a relatively tight gauge to create a close, hard-wearing fabric. Jamieson and Smith Shetland Heritage – smooth, fine, worsted spun, and with a traditional feel – is the ideal yarn for this project, and knits up beautifully at a dense gauge. 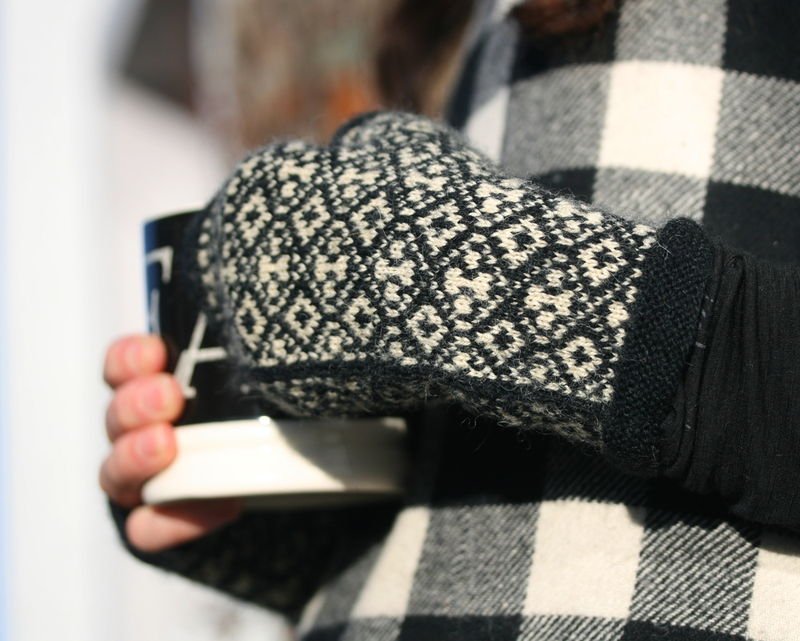 Like their forbears too, the Ecclefechan Mitts also feature a diced pattern that is knit up in high-contrast black and white. There’s also some neat shaping to allow the mitts to fit closely around the hand and thumb. 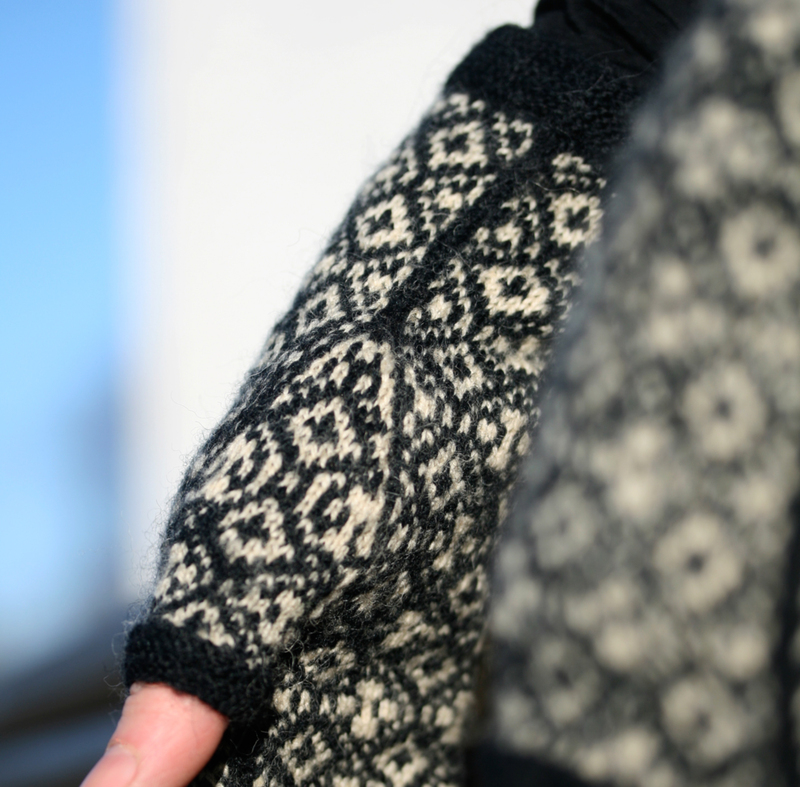 Working a mitt rather than a five-fingered-glove not only makes this design a bit more contemporary and wearable, but means that the pattern is really simple to knit. In fact, the Ecclefechan Mitts could be knit by any colourwork beginner: frequent shade changes and no long stretches between stitches mean that it is easy to maintain a consistent tension. I must point out that the fitted elegance of these mitts is thanks to Mel, who with her usual thorough test-knitting and feedback, prompted me to make several changes to my charts . . .
And why Ecclefechan? Well, Ecclefechan is the name of a small town, well-known as the birthplace of one of my favourite nineteenth-century authors, Thomas Carlyle. It is also the birthplace of the Ecclefechan Tart, a delicious confection, which is one of my favourite things to bake (and eat). When I was putting together the pattern for the Ecclefechan Mitts, I decided to pop in my Ecclefechan tart recipe, so that you can enjoy them too. 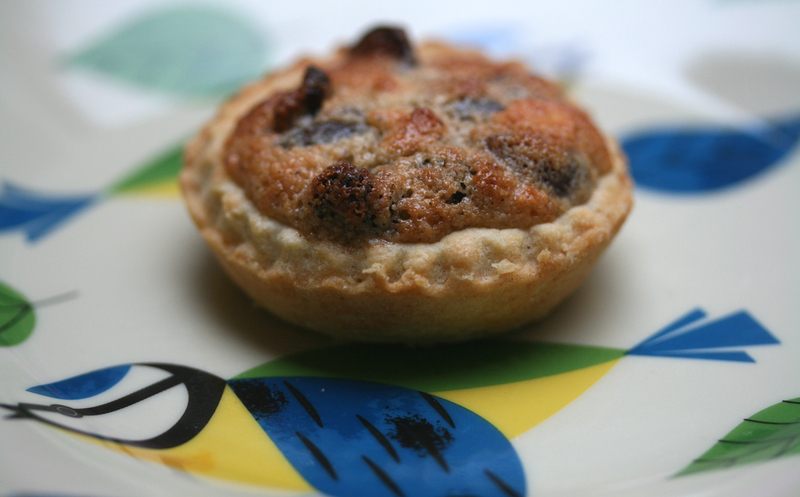 There really are few treats nicer than an Ecclefechan tart and a cup of tea. 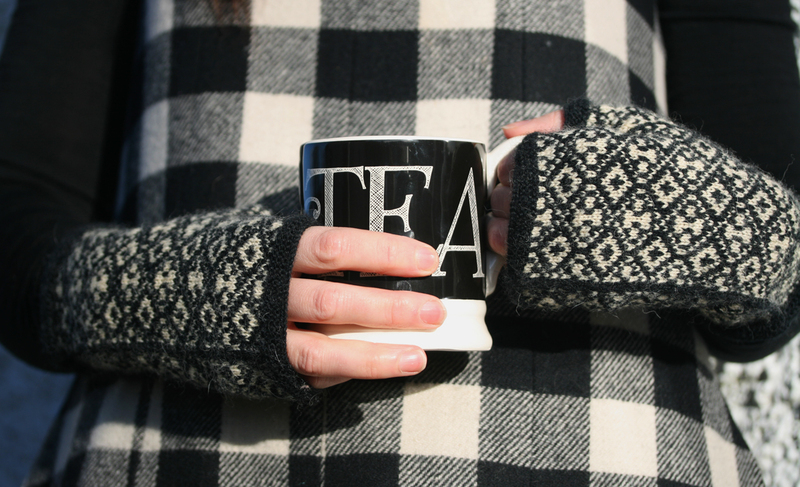 The Ecclefechan Mitts are now available as a PDF download . Ecclefechan is no in the Scottish Borders … just saying! It’s in lovely D&G! Great design though, so I’ll let you off! I just love the design and the picture in which it is presented! And I´m even more in love with the whole package idea of the kit – not only do we get the pattern, yarn and recipe but a bag of TEA as well!! I´m so much in love withe overall idea that I´m seriously considering to buy your kit (once restocked, of course, and once I´m quick enough to find out about restocking) although a black and white colour combination doesn´t appeal to me as much , normally. I was wondering though if you plan to bring out the kit in another classic colour combo like red/white? Marvellous, impeccable design as always! The kit I ordered on Feb 27 arrived here in California one week later – quick work, postal services. I enjoyed the tea at breakfast yesterday and look forward to swatching the yarn today. Well, I got on to order the kit just as the BBC 10 o’clock had started and the kits had already gone. Is there any way that I can pre-order one for next time please? I’ve downloaded this beautiful pattern to knit for a dear friend who has a (significant!) birthday approaching. Any advice on where to purchase the very small double pointed needles required (2.25mm and 2mm)? I don’t have any and am struggling to find them! I’ve used both Kollage and Knitter’s Pride square needles, and love them. Drat and tarnation! A crazy work-day meant that I checked the site this morning before the kits were up for sale, then missed out on them by the time I got home. Please say that you plan to put up more kits? Of course, I could just download the e-pattern, but, I so want to try the S&J yarn. And to have one of your project totes. And to drink tea while casting on, nibbling a tart. Thank you for your beautiful work and for sharing your beautiful, funny, sweet, curious, delightful thoughts with all of us. Ok, it’s definitel time to learn to knit. Great re-interpretation Kate. The pattern for the Sanquhar gloves was in the last edition of Piecework magazine and I thought then that it would look much more up to date as a mitten. I just love fingerless mitts. I have discovered the joy of fingerless mitts this pass fall. They are perfect dog walking and hiking mitts as they give you that warmth and yet you are not overheating. I am currently knitting a parade of these for my grand nieces. (Not Kate’s design) I am certainly purchasing this pattern as I love the details she has added! I LOVE the fact that you’re including recipes and teabags in your kits. Now you know that I was going to ask you to take a full shot picture of that jumper you’re wearing my dear…..or maybe you didn’t, but could you please? I love your clothes. As a matter of fact, I always come to your blog to look at your latest designs and then when I comment it’s always about the clothes that you’re wearing. Hmmmmm. You do indeed have the most delightful wardrobe ever I must say. 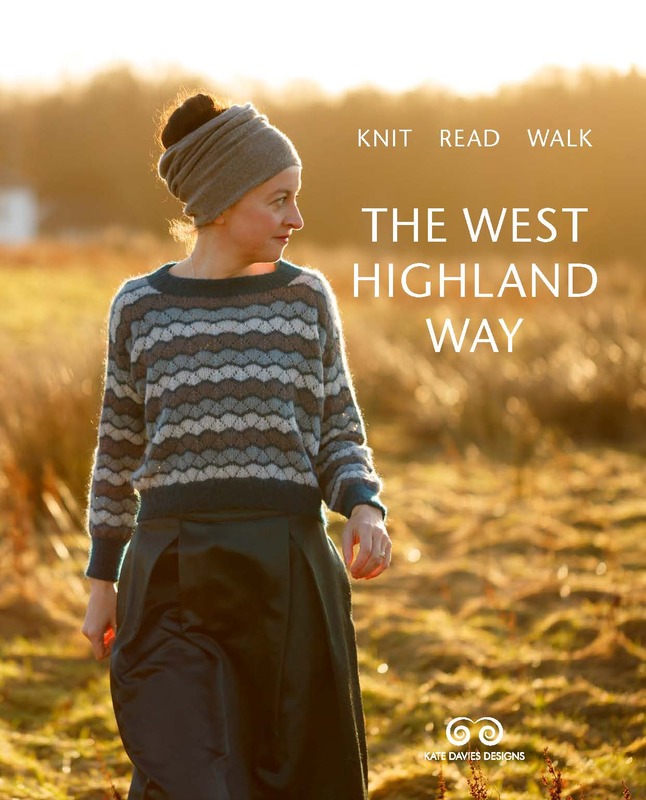 I have to admit, when I saw the new cover photo on your blog day before yesterday of these amazing knits, I went right to Ravelry to find the pattern. No pattern…panic ensued. Then yesterday I saw the pattern and all was right with the world. These are beautiful, Kate – I love the elegance of the fit and the heavy black stripe. And, you’ve got my happy bird plates – they zing of spring.. The mitts are beautiful, and so are you! What a singular talent you are, and so generous to share your creations with us. Can’t wait to try out the covered button tutorial. Such a beautiful design. I just ordered the pattern from Ravelry and I know the knitting will commence soon. The tart recipe looks so yummy. Gorgeous new design Kate! The black and white colourwork is beautiful! I’m really glad the kits are such a success! Beautiful. Did you know that there is a tradition of similar diced patterns in Nova Scotia? And I’m wondering about those tarts? Could they be related to Canada’s favourite butter tarts? My daughter follows your blog (she’s a Bruce fan, but a non-knitter) and I’ve already had a message to say, Mum I love those black n white mitts……please! I love them too so they will be on the needles before too long. No sooner released than sold out! 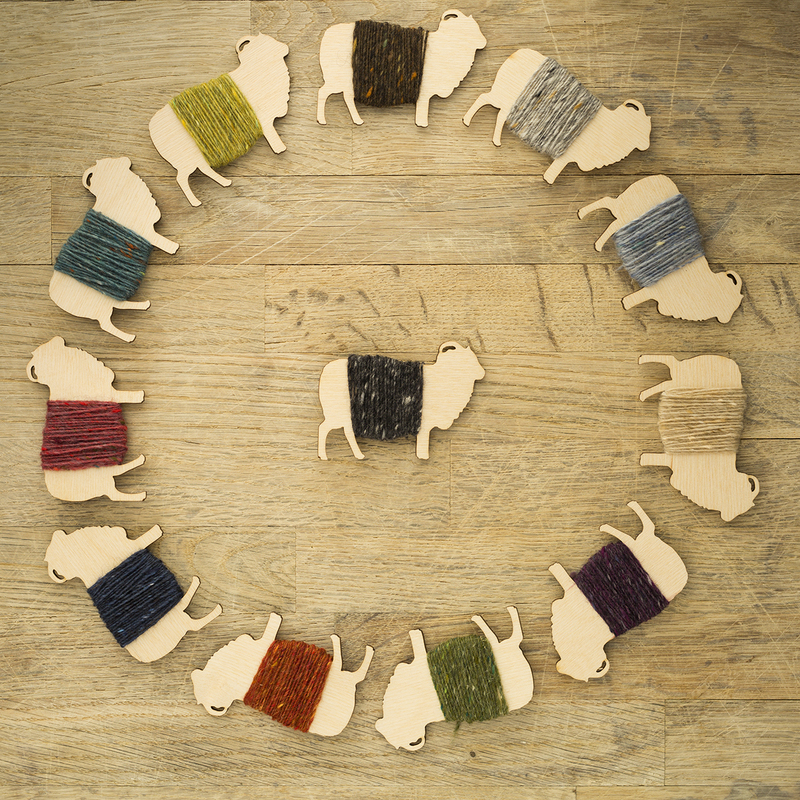 Well, I shall wait and look forward to working with the Shetland Heritage yarn. Tea and tarts and fluggy white – yum. (The black “seams” are particularly charming, btw). Lovely mitts Kate! 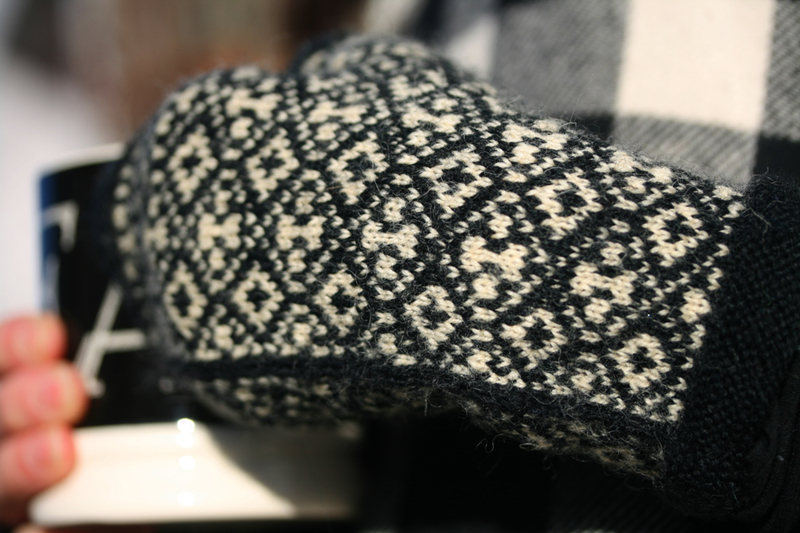 I’m in the process of designing my own Sanquhar gloves with my Shetland wool. One glove has been done for months! Just haven’t had time to work on the other. Working on size 1’s, not 0000’s! I should pick the other one up again and finish it before winter ends and get the pattern written up – lambing time is coming soon and no time then! oh poo i missed getting a kit !!! can you give us a time on the day when the next set of kits will be available? have been drooling over this all week! Just wonderful, thank you. Can’t wait to start them. PS Sainsburys do an Ecclefechan tart for those of us lesser able folk. Not as good as home baked but quite passable. Gorgeous! The name is so funny…..if pronounced here in the USA, it’s sounds rather naughty! Happy weekend. Beautiful Kate and I can’t resist a good recipe for tea time either! Please let us know as soon as the kits are back in stock – best way for me to bring this project to the front of my queue. I, too, live in Florida but my office is soo cold, I can justify these!! lol – not a bad idea! These are so smart! I love the black seam detailing. I have often wondered how the Heritage yarn would handle mittens, how they would wear, if the yarn would hold its crispness etc. I’m always on the lookout for good mitten wool (especially for younger ones) that isn’t super wash or synthetic. Wow, this is very interesting. Ecclefechan is only about 10/12 miles from me. Something you might find interesting – my Dad has his own book shop in the same place where Thomas Carlyle was a pupil. He sells books in what used to be his classroom! (Bridge House, in Annan). Thomas Carlyle later went back there as a teacher. We got my Nanny to knit up some character Thomas Carlyle mice which sold quite well :D I love those mittens, very pretty and dainty. Wonderful! Hope I can get a kit in the next round! You are so talented!! I absolutely love everything you have designed and your blog posts are so interesting and inspiring. I am not the best at colourwork, but your comments have inspired me to give it another try. I can’t wait until February 27th to order the kit! I look forward to trying the Ecclefechan tarts too! What a lovely combination of treats. Love the mitts ~ saw them on Ravelry this morning and was wondering about the name. That tart looks so good ~ looked up the recipe and my mouth was watering for one! Oh my…kits with wings…I would love for one to fly to America and joyfully be knit for modeling debut at Rhinebeck 2014 (Duchess County Sheep and Wool Festival, New York)! Beautiful design. Such a beautiful pattern, and brings back such great memories for me when I visited Scotland. Many years ago (1987) I visited my pen pal, Lynn, who lives in Sanquhar. It was such a live enhancing experience that is still with me today. A year or so later she was able to visit me and experience my home in the Black Hills of South Dakota. It has been a life long friendship that continues today thanks to facebook. Me too! Put me down for a kit. We have a 7 hour time difference here. Those kits must have really flown out the door! I’m so excited this pattern is available! Due to the time change (I’m in the US), I need to keep a constant eye on your site as to when they will be back in stock. Thanks SO MUCH for making this pattern available. Love, love this design. Will have to wait to get the kit next week. I think living in Midwest US has me at a disadvantage for ordering. Sigh. Love black and white colourwork. Too bad all kits are already sold out. These are just perfect! I love the color work. Definitely adding this pattern to my queue! I am late to the party this morning as you are already sold out of your kit! Love these mitts and hopefully, you’ll have more soon. Sorry, I realized the recipe is included :-) Happy days! They’re gorgeous! Can’t wait to knit mine. How about your tart recipe, will you share? What a wonderful way to start the day! Like so many others I was taken by the picture of these mitts in the header. I made a mental note to go back through your pattern pages on Ravelry thinking I had dozed off and missed this one. I think this is a wonderful design and the kit sounds too delightful to pass up, so I didn’t! Thank you, Kate. 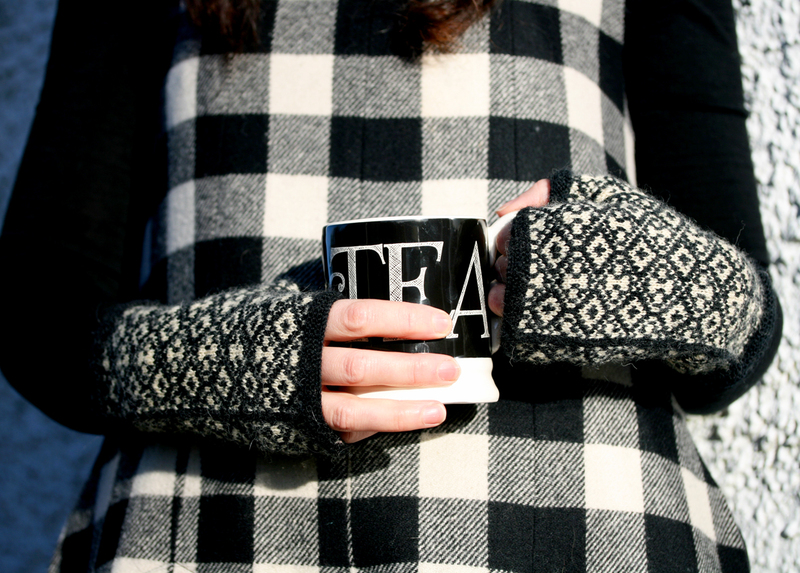 Exciting tones of black & white really sparkles … I love, love, love it … the matching tea, checked dress and all ! One foot of yours seems always to step well into old-world tradition , while the other steps forward smartly into modern fashion.